Well, we did it. We survived the first four weeks. Not only did we just “get by,” we came out sane, well rested, and still standing! Honestly, the girls have made it very easy on us. I think the hard part is still yet to come as they start to wake up and become more alert. This week also would’ve been the 38th week of my pregnancy, meaning the girls would be considered full term. Just think — if the girls were singletons, they wouldn’t even be here yet! 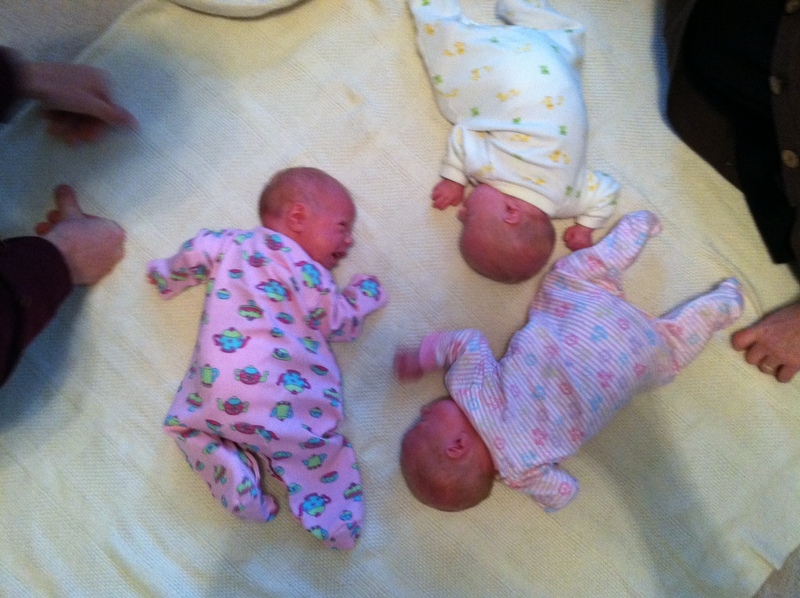 The triplets are each getting so much bigger and really filling out. I’d guess that Alex and Nora are over 7 lbs. now. 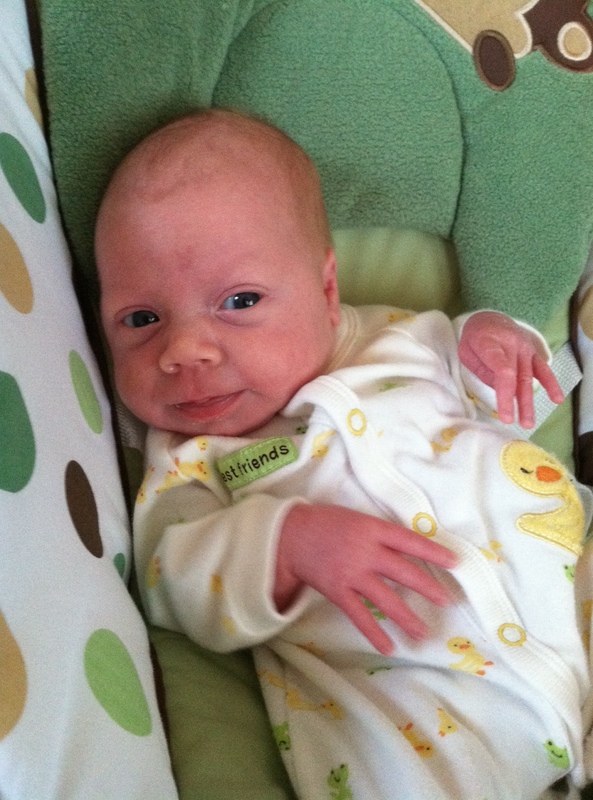 We go back to the doctor next week for their one month well child visits and for another shot of the RSV preventative shot. Someone asked me if I thought this first month flew by or if it felt like we’ve had them much longer. It really feels like everything is moving at the right speed — not too fast, not too slow. Greg has about a month left of family leave, which makes me feel good that he’ll still be around in these early times. I have about two months left, and I’m happy that I’ll have ample time to recover and spend with the babies before returning to work. I think people assume that having three at once means it’s three times harder. But the truth is, you end up doing things much more efficiently than if you had just one. It’s kind of like picking up a few things at a small grocery store versus making a big trip to Sam’s Club. One might be more convenient than the other, but you end up saving time and money with the larger load. In general, when one wakes up, she doesn’t wake up the others! The delicious meals from friends and family! It’s been great not having to worry about dinner or cleaning up. Having my body back! Being able to play with Hannah and pick her up. When Hannah was born, I cried almost all the time those first couple weeks because it was all so new — breastfeeding, getting up through the night, having to put her on a bili blanket for jaundice, trying to heal after a tough delivery, etc. But I’m very proud to announce that I haven’t cried once this month! Greg and I have tried to be extremely patient and it’s seemed to work. The ample help might have something to do with it too, though… 🙂 Though I enjoyed my breastfeeding experience with Hannah, I’m very glad I decided to do exclusive bottle feeding with the triplets. It’s made things SO much easier and I haven’t had to do anything alone. 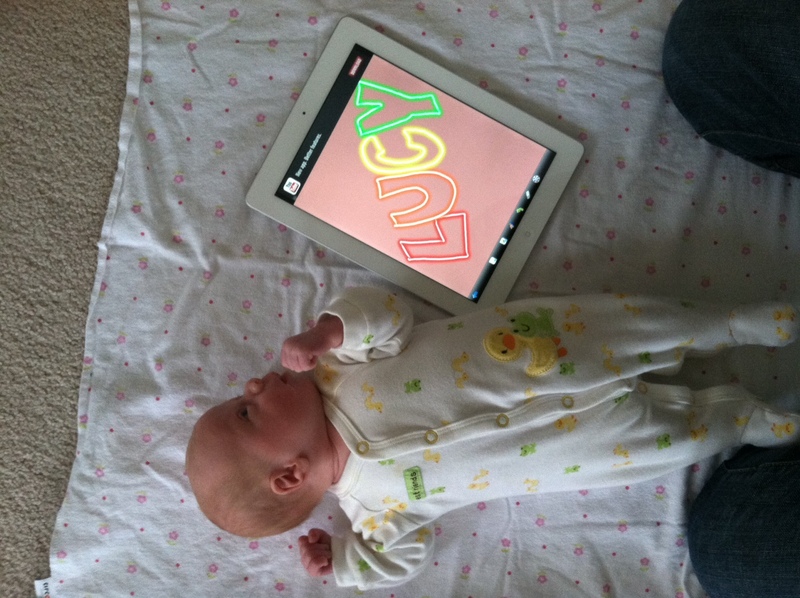 Now anyone can help with feedings and the burden doesn’t fall on one person. I’ll leave you with a few pics I’ve snapped recently. I’m sure many of you have seen the pictures from the girls’ newborn photo shoot on Facebook too. Just precious! 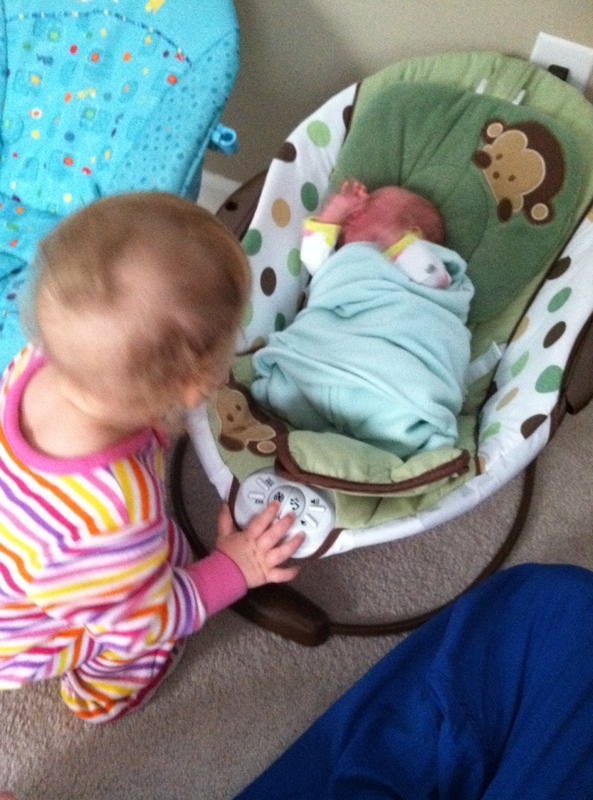 Hannah saying hi to her little sister. 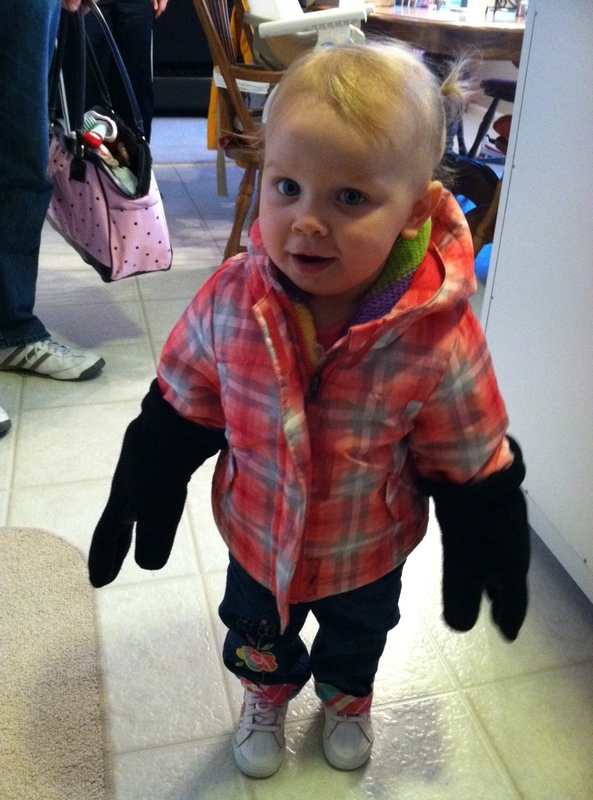 Hannah getting ready to play in the snow. OMG I love this post. The pics are wonderful too!!! You guys are amazing! You and Greg are doing great honey. We’re so proud of you guys and Hannah. I love the pictures, They are so adorable. You are doing awesome SUPER MOM!!! So fun seeing and hearing the progress! Love the update! You guys are rocking it! I would like to chime in on how much support and love that friends and family have given Stef & Greg this month with feedings and housework and meals……thank you, thank you, thank you! “It takes a village” is so true. You guys are doing awesome! 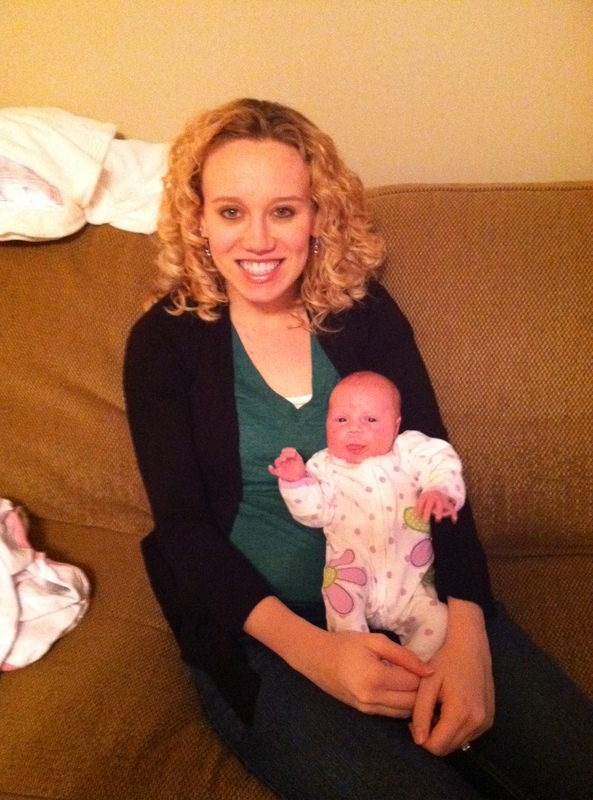 I love seeing the girls in some of Camden’s newborn clothes. They are just precious and are feeling them in nicely…you guys are doing everything right! I am wondering when I can get by to see you/them. I will be in touch soon! Sorry, “filling” them. Can you tell we have terrible head colds in the Weymouth household..including me. Better get off to bed, long, productive and fun week at GSSK this week!